A clean environment is an important asset. Cleanliness they say is next to godliness. A clean environment is a healthy environment. When people work in a healthy and safe environment, there is an increase in productivity. A more productive workforce will have a tremendous impact on revenue and the achievement of the organization’s goals. A clean and neat office also improves the health and wellness of the occupants. Is it not true that health is wealth? Similarly, a healthy and clean environment also ensures that you make good first impressions. After all, first impressions they say matters most. But a clean environment takes a lot of efforts. A clean office takes a lot of time, resources and efforts. 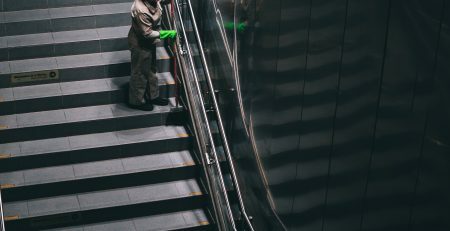 The time that should be spent in core business functions that improve the bottom line of the business may be spent keeping the offices clean. The time that should be spent with being productive can be consumed on stressful cleaning of the office. At Excel Facility, we don’t just take the stress away; we provide efficient and excellent janitorial services with a professional touch. We have a unique interest in various environmental concerns, and we make use of modern technologies to deliver the perfect clean, safe and healthy environment in New Jersey. If excellence is what you need, then Excel Facility is your one-stop for janitorial services New Jersey. Contact us for a healthy and safe environment that makes thousands of great impressions, improving your family life and your business ventures.